A water dispenser belong to that group of commodities, that can satisfy their customers anywhere and everywhere. You see them in people’s houses, you seem them in doctor’s clinics and hospitals, you see them everywhere. It’s a universal fact that we need water. Sometimes we may need hot water to warm our bodies on cold winter mornings. Or, we may just need ice-cold water to quench one’s thirst on a Sunny day. Many of the water dispensers these days, have this feature installed in them. Customers have the option of hot water, cold water and some of them even offer lukewarm water, perse. So how can one not love such a commodity, it satisfies your individual need as per preference to some extent, and one of the physiological needs according to Maslow, called thirst. Capacity: One of the most important things to consider while purchasing a water dispenser is, what kind of customer traffic are you going to expect? How many people do you think your water dispenser will cater to? Based on that, you choose a water dispenser that suits your needs. More the people, larger the capacity, ideally at least. Energy Usage: Everybody wants to reduce their electricity bill. Companies realise this and have started offering water dispenser that make optimum use of the electricity. Try to go for the one that not only minimises your electricity bill but increases your efficiency. Features: Hot and cold water is a feature. Extra storage space is a feature. The companies that manufacture these water dispenser use features as a tool to fight off competition. So take full advantage of this, and choose the one with the features you deem you need. No installation or remodeling of house required: Easy to fix & use facility provides instant water dispensing. No need to fix or drill holes or erect stands etc. Great for Home,Office,School,Factory or Hospital. 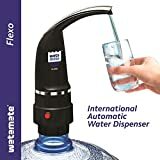 We have also picked our own choices to give you more idea and information about top water dispenser in India.Check the below list and choose one that can best serve you. 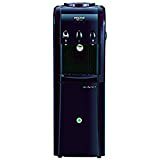 With a storage compartment, a hot, cold and normal option and a 5 litre/ hour heating capacity, it proves to be a pretty decent water dispenser. Although, it has no separate refrigerator as such, it’s operating voltage is 230 Volts. It’s a reasonably sized with dimensions of; 97.8 x 38.1 x 35.6 cm, weighing 17kgs. Made out of plastic, this water dispenser comes with a 14 litre refrigerator. Along with that, it has a 3 litre/hour cooling and a 5 liter/hour warming capacity, with options of hot, cold and normal. The product in itself weighs 17 kgs and is quite durable, considering that parts of it have been made out of stainless steel. It’s product dimensions are, 34.5 x 31 x 94 cm. This water dispenser too, has a plastic body with a tank made out stainless steel. 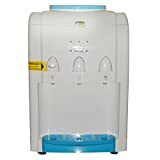 Very similar to the above mentioned water dispenser, it too has a 3 litre/hour cooling and 5 litre/hour warming capacity. However, cold water storage of this dispenser in comparison to the one above is lesser. It’s a considerable difference with this, dispensers capacity at 3 litres. Naturally, it too has three taps, with the hot, cold and normal option. This it shares, with the first option. It too, has an operating voltage of 230 Volts. We were talking about features earlier in this article, right? 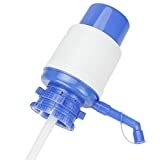 This dispenser comes with a child lock for the hot and cold faucet, an 18 litre cold water storage capacity, specially designed faucets that provide with bacteria-treatment, LED indication and more. It ticks the durability checkbox as well, with the use of top quality raw materials that even avoid the effects of corrosion. What’s more is that it is environment friendly too! This water dispenser is just a slightly cheaper version of the second option. It has identical features and everything with the only omission in this model being the cooling cabinet. Single door vs Double door vs Side by side door fridge – How to pick the good one for your home? Front load washing machines vs Top load washing machine – Which is suitable one for your home?